She works on communication, contents and media relations for contemporary art, culture and creativity. She lives in Bologna and works where her projects are. She is press officer of the International Award for Participatory Art, in Bologna, and of the Galleria Bianconi, in Milan, as well as collaborating on exhibitions, events and communication projects, both on-line and off-line. Thanks to several opportunities for collaboration with Julia Draganović and Claudia Löffelholz, she became involved in LaRete Art Projects as press officer. After her studies in Political Sciences, she was communication manager of Goodwill, a consultancy agency devoted to governance and sustainability strategies for the social and cultural field, and for local development related to culture and creative industries. 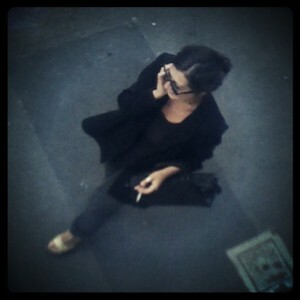 She was communication manager of the festival of Contemporary art in Faenza. Today she is a freelance professional with a passion for teamwork.